Introducing Cowsheds naughty little sister, CHEEKY - this brand promises to re-write the beauty rules! There will be the Cheeky parlour in Redchurch Street, Shoreditch where you can have a Cheeky file & paint for £12 and you get a free nail polish to take home - it does not get much better than that! 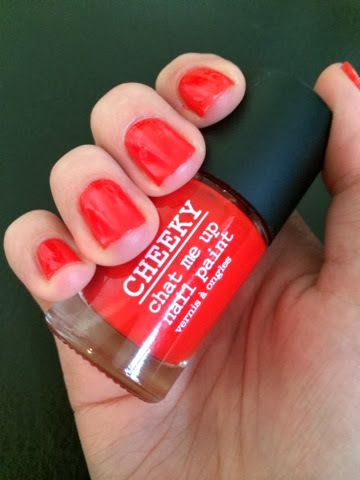 The full product range will be available to buy in October 2013 from www.urcheeky.com and from the new Cheeky Parlour. Let us know your thoughts on this new cheeky brand!